Still have some winter squash from the garden in your cold storage? 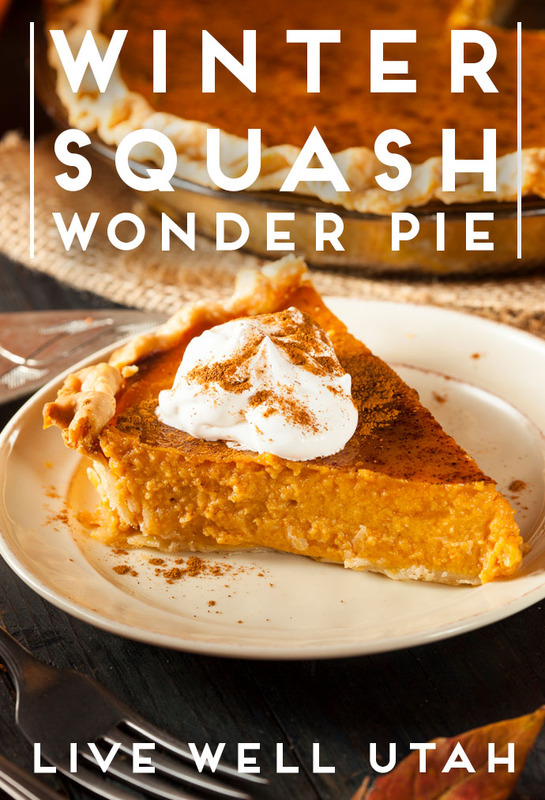 Make good use of it in this delicious winter squash wonder pie. The kids won’t even realize they’re eating a vegetable! Prepare squash by washing, cutting and removing seeds. Cut the flesh into large cubes. Place the squash into a pot, adding enough water to cover the cubes. Boil for about 20 minutes or until the squash is fork tender. Make your own crust, or purchase one from the store. To prevent spills in the oven, place your pie crusts on top of a cookie sheet lined with aluminum foil. The squash mixture is quite runny, so place the pie tins on the rack, and then pour the mixture into the tins. Carefully push the rack back into the oven. Bake at 425 degrees for 15 minutes, then reduce the heat to 350 degrees, baking for another 45 minutes. To check for doneness, pat the top of the pie with a butter knife. The pies are ready when the tops are mostly firm. Remove from the oven, letting them cool for about 10 minutes. Serve with whipped topping, and enjoy! *One regular-sized banana squash will make anywhere from 4-6 pies. Premeasure the extra squash for future pies. It will keep for about 6 months. Did you save some turkey from your holiday dinners? 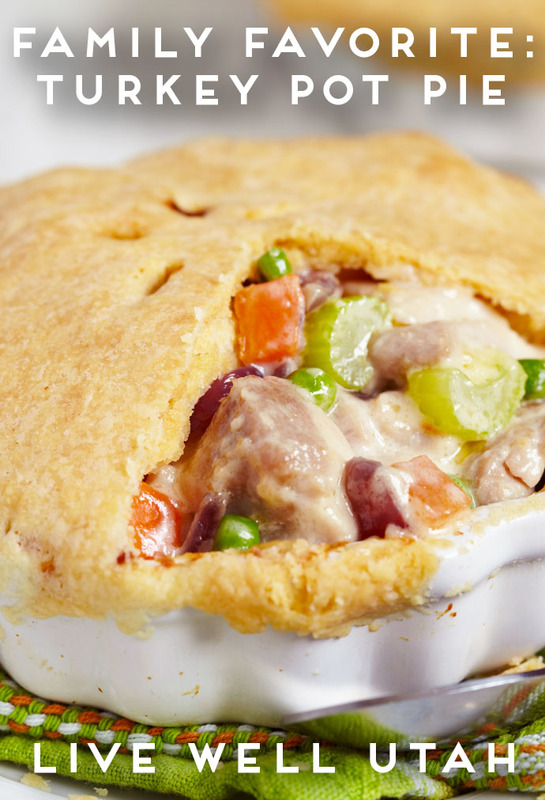 Pull it out of the freezer and try it in this hearty pot pie your family is sure to love. Begin by melting the butter in a skillet or Dutch oven. Add onion, carrots, and celery, and cook until the vegetables are translucent (a couple of minutes). Add turkey to the mixture and stir. Slowly add flour, mixing it into the mixture. Cook over medium heat for a few minutes, stirring constantly. Mix in the broth, and then add a splash of wine, if desired. Add the cream, mixing well. At this point, you may stir in the peas, if desired. Bring to a slow boil and allow the mixture to cook and thicken for a few minutes. Add salt and pepper, and fresh or dried thyme, to taste. Do one final taste at the end, just to make sure that it tastes wonderful! Next, pour the mixture into a deep-dish crust. Then, roll out crust, making it about 1 inch larger than the top of the pan you’re using. Place the dough on top of the pot pie mixture, and press the crust into the sides of the dish. Cut vents in the top of the crust. Bake for 30-40 minutes, or until the crust is golden, and the filling is bubbling. Remove from the oven, allowing time to cool before serving. Enjoy! Recipe Gallery is a wonderful tool for organizing your favorite recipes! This app is a mobile recipe book, where you can do anything from adding recipes that are in your grandmother’s cookbook, to posting screenshots of recipes found online. With a simple click of a button you can even print off recipes, share them as a PDF through email, and so much more! The app also connects through different devices. Forgot your iPad at home? 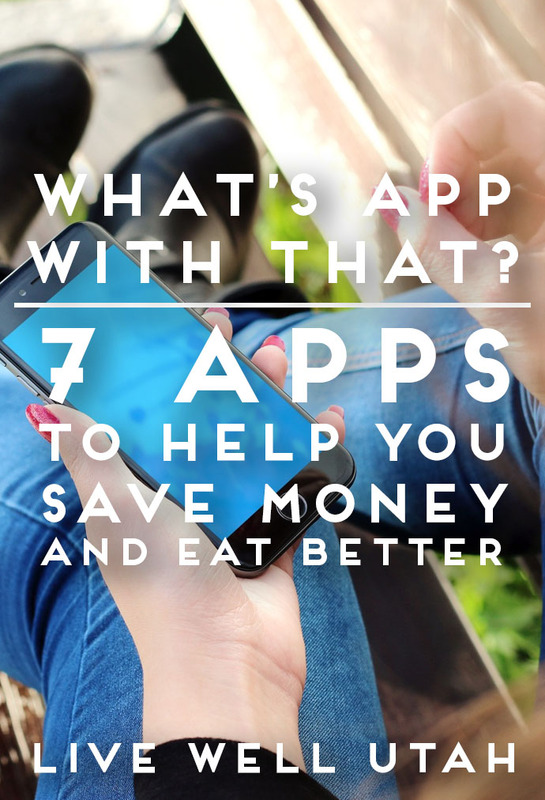 No worries, the recipes are on your phone, too! 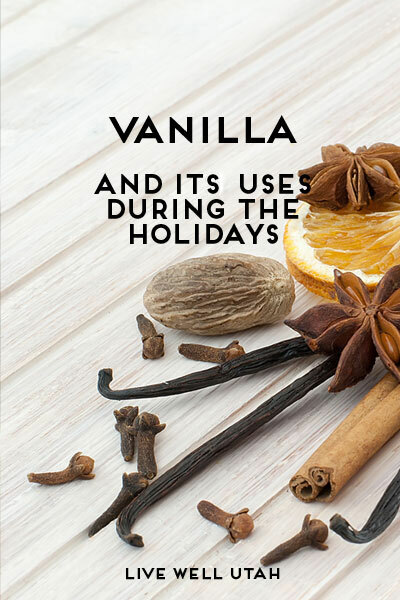 Enhance the flavor of your favorite recipes with aromatic vanilla beans. Vanilla flavoring is a desirable sweet flavor that is used in many recipes from cookies and candies to drinks. Vanilla comes as an extract, powder and paste. These forms of vanilla come from beans that are grown on an orchid plant. Growers pollinate the long pods and ferment them for about 6 months before harvesting. This laborious process results in the flavoring becoming one of the most expensive. To cook with vanilla beans, you simply split open the pod and scrape out the pulpy seeds inside. Each pod will have tiny seeds that have a strong vanilla aroma. An imitation vanilla extract is made from synthetic flavorings with alcohol and may not be quite as desirable as an authentic vanilla flavor. Vanilla beans take on the flavor and aroma from where they are grown. The most common types of beans are grown primarily in Madagascar, Mexico and Tahiti. The Madagascar bean (also known as a bourbon bean) is very thin and very rich in sweetness. The thick skin covers many small seeds that provide a strong vanilla aroma. This accounts for about 80 percent of most vanilla extract. The Mexican bean is not as thin or sweet as the Madagascar bean. This bean has an earthy aroma and is more mellow in flavor. The Tahiti bean is plumper in size, darker in color and the least sweet of the beans. The perfect vanilla bean is 5 to 7 inches long and should feel moist and supple (not dry and brittle) when rolled between your fingers. Fresh vanilla beans can be used in cooking as well as in making vanilla extract. One 2-inch piece of vanilla bean = 1 tsp. extract. Vanilla beans are made into an extract which is aged from 2 to 6 months and contains a minimum of 35 percent alcohol. Vanilla beans will dry out and become brittle if left out in the air, so wrap them in foil, seal them in a zip-top bag and store them in a cool, dark area. They’ll last this way for at least several months. Enjoy the flavor and aroma of the fresh vanilla bean! 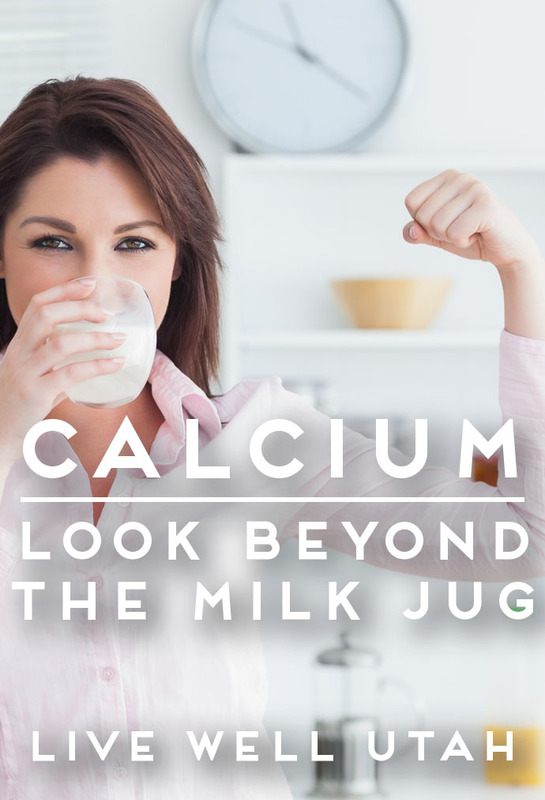 Bring milk to a simmer in a heavy-bottomed saucepan over medium heat. Add the vanilla beans from the bean pod (split the pod and scrape them out with the tip of a knife). In a bowl whisk together the sugar, eggs, yolks and cornstarch until smooth. Slowly add about half of the milk to the egg mixture and then pour the egg mixture into the saucepan containing the rest of the milk. Don’t heat the eggs too quickly or you will have scrambled eggs in your custard. Place the pan over medium heat and whisk well, making sure you get in the corners of the pan, until it comes to a boil and thickens. Cool, cover and store in the fridge. Holidays are a fun but hectic time. 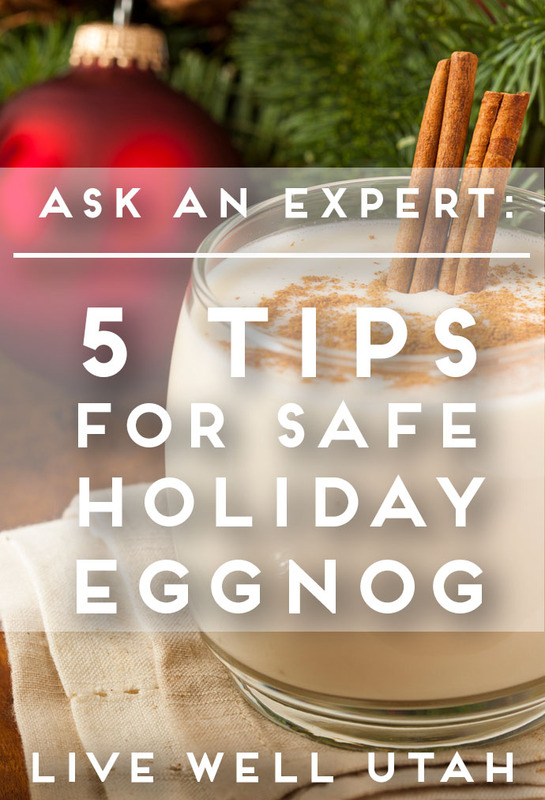 By amending your eggnog recipes for safety, you’ll have one less thing to worry about. 1.) In place of raw eggs, use an equivalent amount of pasteurized (frozen or refrigerated) egg product that has never been opened. Because of the risk of bacterial contamination after opening, any leftover egg product should be used only in cooked products. 2.) Use cooked eggs in your eggnog recipe. Combine raw eggs with half of the milk and sugar in a 4-quart double boiler. Cook and stir over medium heat, approximately 10-15 minutes, until the mixture coats a metal spoon and the temperature reaches 160 F. Continue preparing your recipe as directed. 3.) If a recipe calls for folding raw, beaten egg whites into the eggnog, use pasteurized eggs. It has not been proven that raw egg whites are free of salmonella bacteria. 4.) Use commercially prepared eggnog, which contains pasteurized eggs and does not need to be cooked. In a 4-quart double boiler, combine milk, sugar and egg product (or eggs). To serve, place softened frozen yogurt in a punch bowl. Gradually whisk in chilled eggnog mixture until smooth. Sprinkle with nutmeg to taste. Don’t let holiday party planning stress you out: try these quick and easy make-ahead recipes for your next holiday gathering, and enjoy this wonderful time of the year. As the holidays become a fast approaching reality, the feeling of panic can quickly take over the sparkle…Will I be able to get everything done in time? Will it be just the way I want it? Can I make entertaining extra special without spending too much time or money on the details? Are there things we can do to entertain and prepare for the holidays without making ourselves crazy in the process? I cater on the weekends and in my spare time, I have come across some simple ways to make the holidays extra special. What can I do to have homemade rolls, a lovely platter of savory bites that can be taken to the next party or maybe a simple dessert that will appeal to even the pickiest foodie? 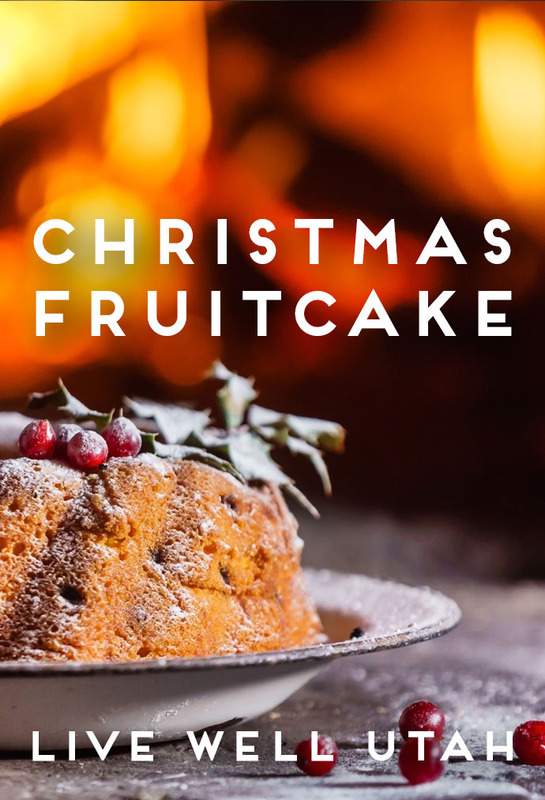 Just by having a few simple ingredients on hand you can make the holidays sparkle. 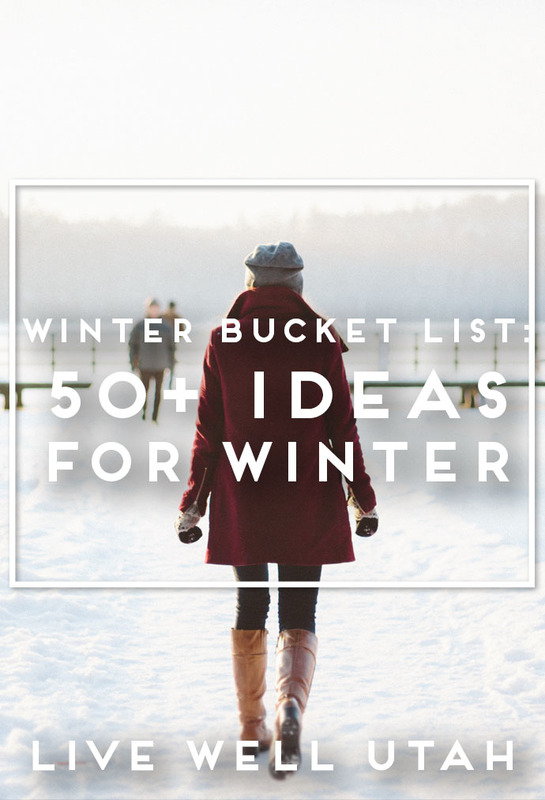 Try out some of these tips and recipes to make your holidays merry and bright. Homemade dinner rolls make any holiday meal extra special. With just a few inexpensive key ingredients, your house will smell like you have been baking all day and your guests will feel extra special when you are pulling these rolls out of your oven right before the event. Try these easy, foolproof dinner rolls for your next gathering. Pour warm water into a large bowl or stand mixer bowl; sprinkle with yeast, and let stand until foamy, about 5 minutes. Add sugar, butter, eggs, and salt; whisk to combine. Change out whisk attachment to a dough hook. Add flour; mix until incorporated and a sticky dough forms. Move dough to a buttered bowl. Brush top of dough with butter; cover bowl with plastic wrap, and set aside in a warm place until dough has doubled in size, about 1 hour. Brush a 9-by-13-inch baking pan with butter. One at a time, flatten each piece of dough, then fold edges toward the center, pressing to secure, until a smooth ball forms. Place dough balls in prepared baking pan, smooth side up (you should have 3 rows of 6). Cover tightly with plastic wrap and refrigerate (at least 4 hours and up to 1 day. ), OR you can cover loosely with plastic wrap and let rise in a warm place until doubled in bulk, 30 to 40 minutes. Preheat oven to 400 degrees. Remove plastic wrap; brush rolls with butter. Bake until golden and rolls sound hollow when tapped on bottom, 35 to 40 minutes (tent with aluminum foil if browning too quickly). Pull rolls apart, and serve warm. For that special get together, sometimes it is fun to have an easy-to-make alternative to the traditional holiday sweet treat. Here is a simple recipe that, for next to nothing, can be whipped up in a matter of minutes and will look like you spent hours preparing it. Even if you do not like onion, you will be amazed at the flavor. This cheese ball is mild enough that you get just a hint of onion along with the other seasonings. This could be the next neighborhood favorite. Mix first three ingredients thoroughly, shape into a ball, and roll in chopped nuts. If desired, use this recipe to make two or three small cheese balls out of one batch for a great addition to a cheese and cracker platter for a smaller group. As another option, shape the cream cheese mixture into a teardrop so it looks like a festive Christmas pine cone when sliced or whole almonds are added in a layered pattern, starting at the point and working back. Then place sprigs of green onions, rosemary, or parsley at the round end. 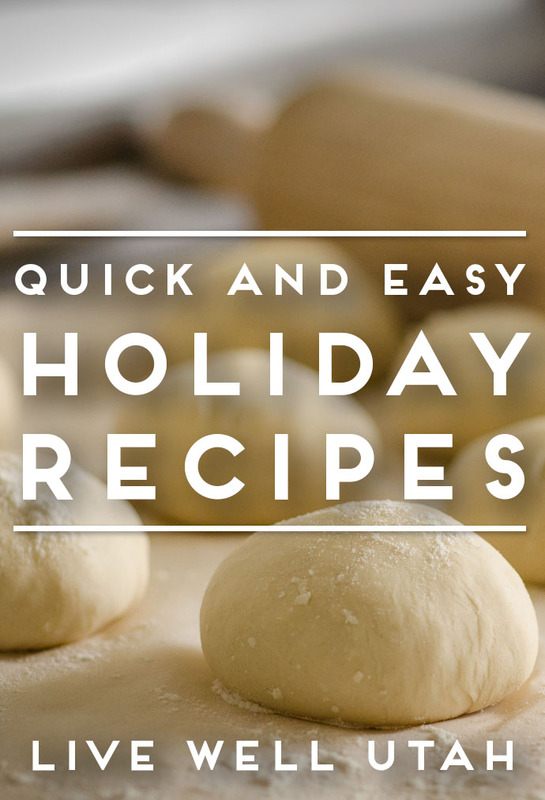 These quick and easy recipes will give your holiday the sparkle and shine that shows you care, with a minimum of effort allowing you to enjoy the holidays with your friends and family. Preheat oven to 350 degrees. Pour all ingredients into mixing bowl. Mix with a hand mixer until everything is incorporated and looks like moist crumbles. Press into the shape of a disk. Roll out and cut shapes with cookie cutter or scoop dough into balls. Place on cookie sheet, and bake for about 7-10 minutes until lightly golden brown. Place cookies on cooling rack, let cookies cool. Ice cookies according to preference. This article was written by Chris Jensen, Piute County Extension Educator. Charlemagne, Emperor of Rome, known for his good health, said, “An herb is the friend of physicians and the praise of cooks.” Try these tips for using herbs as a healthy and flavorful alternative to fats, sugar and salt. If you are trying to find ways to lower the amount of sugar, fat, and salt in your diet, you may find that herbs and spices are a good solution. Fat, sugar and salt all add flavor to the foods we eat and enjoy. They also add calories and cholesterol. 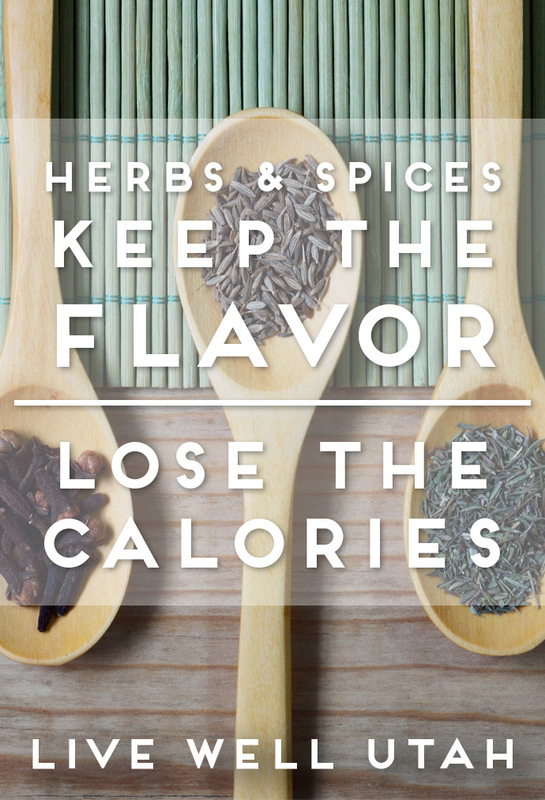 We can add flavor to many foods and decrease the fat, sugar and salt by using herbs and spices in many recipes. One tablespoon of fat can equal 100 calories. A great substitute is to purchase fat-free salad dressing, margarine, yogurt, sour cream and cream cheese, then add flavorings of your choice with herbs such as thyme, rosemary or tarragon. You will be surprised at the great flavor they provide without adding calories. Herbs and spices can also reduce the amount of sugar you may need in foods. Ginger, whether fresh or dried, is an excellent sweetener. Keep a little ginger root in your freezer and grate off the desired amount when cooking. Carrots, sweet potatoes and other foods combined with a little ginger root are sweet and tasty. Herbs and spices can complement nearly all cooking. Using them will help reduce the amount of salt your recipe may need. You will find that you can flavor with the herb, then leave out some of the salt. Experiment with spices and herbs in your sauces, vegetables, drinks or desserts. Keep in mind that the amount you use and when you add it to your ingredients will depend on if you are using fresh or dried herbs. If using fresh herbs, you will add three times the amount of dried. Dried herbs are added at the beginning of cooking, and fresh herbs are added at the end of the cooking time. Store fresh herbs in the refrigerator and dried herbs in the cupboard out of direct sunlight. If you add a little too much seasoning when cooking, throw in a piece of potato and let it absorb the extra flavor. Remove before serving. Basil is absolutely essential for Italian cooking. I can’t imagine a summer without fresh pesto. Chives are prized for both their extensive cooking applications and their gorgeous silhouette in the garden. Cilantro is used liberally in Latin American cooking, and its cool flavor is one of my year-round favorites. I love pomegranate and cilantro salsa. Tall dill plants waving in the breeze are a welcome sight in any garden. The seeds and herb are used in all sorts of vegetable recipes and bottled pickles. Although mint has the tendency to take over wherever it is planted, the aromatic herb adds pizzazz to summertime lemonade, smoothies and is refreshing in teas and many recipes. Oregano is another Italian food staple, and it’s also wonderful in egg recipes such as omelets. Don’t just use the little sprigs of parsley as plate garnish: toss it into salads, soups and vegetable recipes. Rosemary grows wonderfully in St. George. On the patio, it is sheltered from the winter cold and the summer heat. Once your taste buds have experienced fresh rosemary, they will go on strike if you serve the dried variety. Thyme, growing in a garden, has an enticing aroma. It’s also a favorite in fish recipes. Try growing your favorite herbs in the yard, garden boxes, flower pots or even in the house. They add beauty, flavor, aroma and are a wonderful conversation piece. Toss cucumbers in bowl with mint, rind and parsley. Whisk oil, vinegar and sugar substitute. Pour over cucumbers and chill for 4 hours.